Pastor Kirby Williams has been the senior pastor of New Hope Community Church since 2004 and serves as School Pastor for both God's Little Creations and New Hope Christian School. Mrs. Andrews is a Virginia native who migrated to Florida in 2002. She has four children and has been the Head of School at New Hope Christian School since December 2007. Mrs. Andrews holds dual Bachelor Degrees in both Elementary Education and Early Childhood Development and is currently finishing her Masters Degree in Licensed Marriage and Family Therapy. Mrs. Andrews and her family are members of New Hope Community Church. Mrs. Broek is a New York native, who migrated to South Florida in 1989. She has worked in children’s ministry since the late 1980’s and currently serves as Administrative Assistant to the GLC Director of Education and the NHCS Elementary Principal. Mrs. Broek is a member of Coral Ridge Presbyterian Church where she has faithfully served for over 20 years. Mrs. Andino is originally from Uruguay, however most of her childhood was spent in New Jersey. She is married with four children and has been working in the field of early childhood development sine the late 1980’s. Mrs. Andino has a Child Development Associate and has served as a Professional Development Specialist for the Council for Professional Recognition since 1999. She and her family attend God International Ministries in Margate, Florida. Ms. Sessa leads chapel on Wednesday mornings for the preschool and Friday mornings for the elementary school. She is the ambassador of our prayer ministry. She holds a Degree in Early Childhood Development. Mrs. Wheeler is a Florida native and has worked for New Hope Community Church, God’s Little Creations and New Hope Christian School since 2002. Her background was originally in finance and she also holds a Bachelor’s degree in Graphic Design. Mrs. Wheeler is extremely talented and is responsible for nearly all of the school’s various advertisements and financial reporting. She is a member of New Hope Community Church. Mrs. Best is a New York native who migrated to Florida in 2005. She is married and has six children. She serves as Elementary Teacher for New Hope Christian School and currently teaches a blended Second-Third Grade class. Mrs. Best holds a Bachelor Degree in Elementary Education. 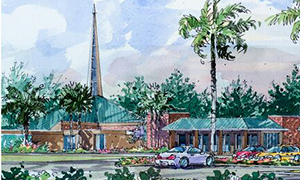 She attends Church By The Glades in Coral Springs where she serves in multiple ministries. Mrs. Cooper is a native of Nassau, Bahamas, however she and her husband have resided in South Florida for many years. Mrs. Cooper holds an undergraduate Degree in Elementary Education and a Master's Degree in Elementary Education with ESOL and Reading endorsements. She faithfully attends St. Bartholomew Catholic Church. Mrs. Ortis is originally from Puerto Rico, but spent most of her childhood years in New York City. She holds a Bachelor's Degree in Elementary Education and has taught specifically in Christian Schools for over 22 years. Mrs. Ortiz attends Iglesia Real in Hollywood, FL and is very active in ministry. Mrs. Preudhomme is a Trinidadian native. She graduated with honors and holds a Bachelor's Degree in Early Childhood Education. Mrs. Preudhomme enjoys working with children and watching them mature and develop. Mrs. Sejour is a native of South Florida. She is married and has two beautiful daughters. She serves as the 1st grade teacher of New Hope Christian School. Mrs. Sejour holds an Undergraduate Degree in Elementary Education and a Master’s Degree in Elementary Reading. She is a member of Redemption Baptist Church in Pompano Beach, FL. Ms. Wheeler is a born and raised South Floridian. She is a recent graduate of Southeastern University, and a certified in ESOL instructor. She is a member of New Hope Community Church where she is heavily involved with missions and she is an alumnus of God's Little Creations Preschool! Ms. Koss is a Pittsburg native who migrated to Florida in 1983. For many years she worked in the mortgage lending industry as an internal auditor, and in 2009 she became a member of the New Hope Christian School staff. Ms. Koss serves as the Library Assistant and is a member of New Hope Community Church. Ms. Buckland is a Florida native and has been working as a lead teacher at God’s Little Creations since May 2009. She is extremely creative and loves “art.” She holds a National Child Development Associate from the National CDA council. Ms. Buckland is a graduate of Fort Lauderdale Christian School and has been working in the field of early childhood education since 2009. Mrs. Haines was born in Jamaica and is married with two beautiful children. She holds a Child Development Associate and is working on her advanced degree in Education with a specialization is special needs. Mrs. Haines is a member of New Hope Community Church where she has faithfully served for over 10 years. Mrs. James was born in El Salvador and arrived in the United States when she was 14 years old. She and her husband have 5 wonderful children. Mrs. James is degreed in Exceptional Education and has over 18 years of experience teaching. She is a dedicated member to her home church, where she has faithfully served for 25 years. Mrs. Muselaire is a Haitian native. She is married with 3 beautiful children and has a heart for children's ministry. Mrs. Muselaire holds a Bachelor's Degree in Agricultural Education and is a member of Berean Fundamental Baptist Church. Mrs. Pierre is a Jamaica native who migrated to the United States in 2005. She holds a Florida Child Development Associate and has volunteering her time here at God's Little Creations since September 2011. Mrs. Pierre is fluent in Spanish, English and is currently pursuing ASL (American Sign Language). She has three young children and is a member of New Hope Community Church. Mrs. Pierre sings in the choir and sits on the New Hope Community Church Missions Committee. She enjoys praying and ironing and longs to be a missionary nurse. Ms. Seignon is a Mexican native who migrated to Florida in 2015. She holds a Florida Child Care Credential. Ms. Seignon is a member of Margate Spanish Seventh Day Adventist Church where she faithfully serves in the children's ministry and music ministry. Mrs. Walters is a Bahamian native who migrated to Florida in 1982. She is married with four children and has been working at God’s Little Creations since July 2008. She holds a Child Development Associate from the state of Florida. Mrs. Walters has the biggest heart and loves the children dearly. She is a member of New Hope Community Church, where she serves in the nursery. Mrs. Rivera was born in "La Isla Del Encanto" Puerto Rico. She is currently pursuing a Bachelor's Degree in Elementary Education. Mrs. Rivera has a passion for serving others and she and her husband are members of Latin American Christian Center where they faithful serve in multiple ministries.